Just about everything about the Voynich manuscript is complicated. The text can’t be read, the plants on the pictures can’t be identified, the creator is unknown, and its age can only be guessed. One of the few simple things about this strange book is that only one copy of it is known to exist. Imagine, there were ten different Voynich manuscript versions with subtle differences and nobody knew which one is the original. Things would be even more complicated. 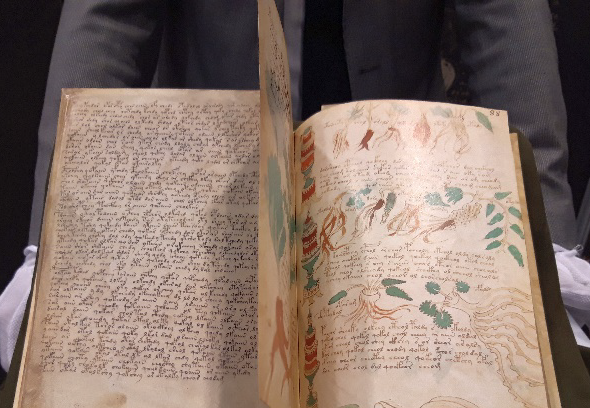 On the other hand, the uniqueness of the Voynich manuscript makes it impossible that anybody except the Beinecke Library in Connecticut will ever own an original. For this reason, facsimiles of the Voynich manuscript are quite popular. The one I have made myself is an especially beautiful one, in my view. 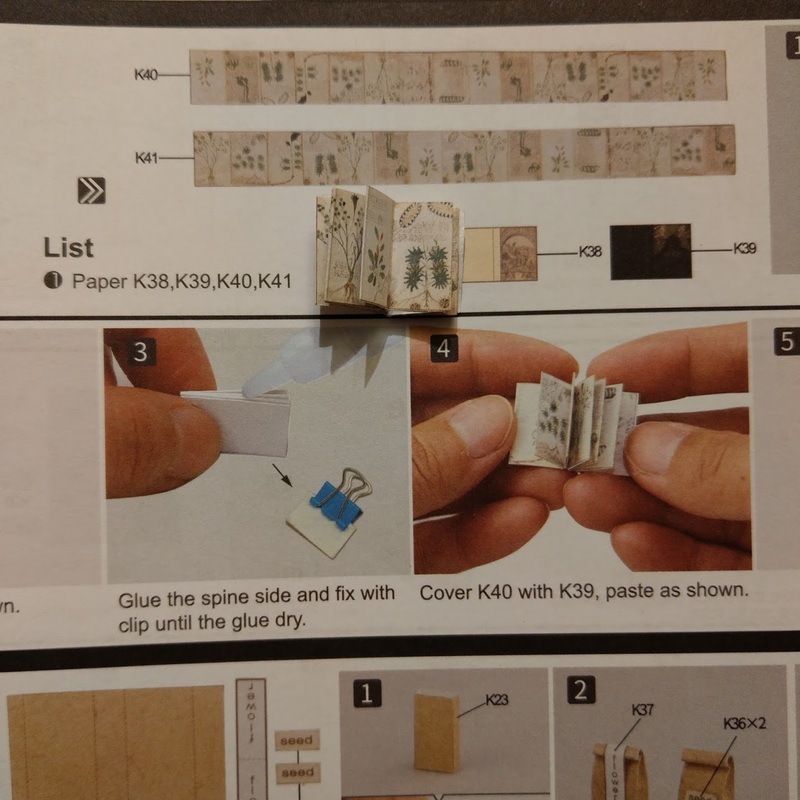 Two weeks ago, I received a mail from blog reader Sebastian Dürr, who drew my attention to a miniature replica of the Voynich manuscript, which is included in a dollhouse construction set (“Cathy’s Flower House with LED light DG104”). So, if you are looking for a nice birthday present for your daughter, consider this one. 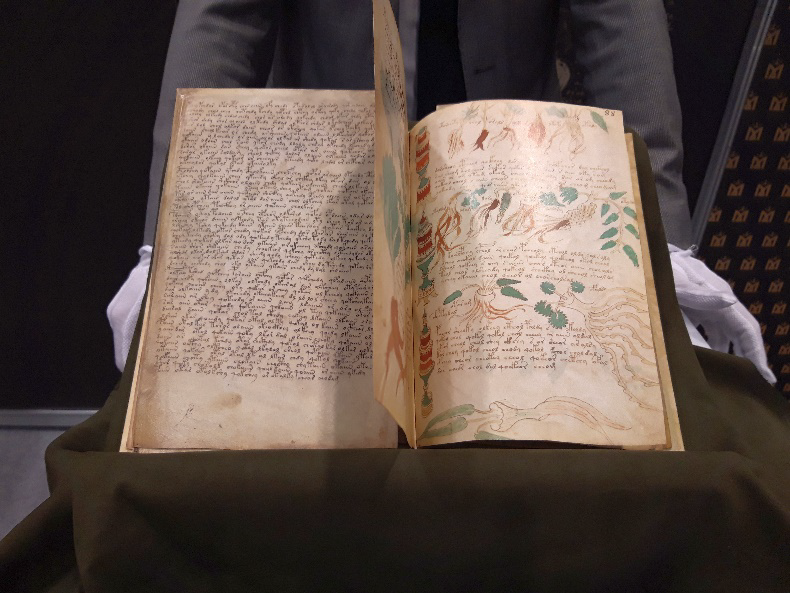 As is well known in the Voynich community, the Spanish company Siloe sells another quite nice Voynich manuscript facsimile for about $8,000 per copy. 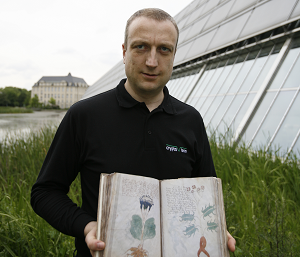 The Polish company Manuscriptum recently published another Voynich manuscript facsimile. Manuscriptum specializes in luxury facsimile editions of famous books. Its portfolio includes Gutenberg’s bible, Martin Luther’s bible, and Nicolaus Copernicus’ De revolutionibus. My Polish friend Marek Grajek has forwarded me a report on the official book launch during the Poznań Book Fair on March 1st, 2019. 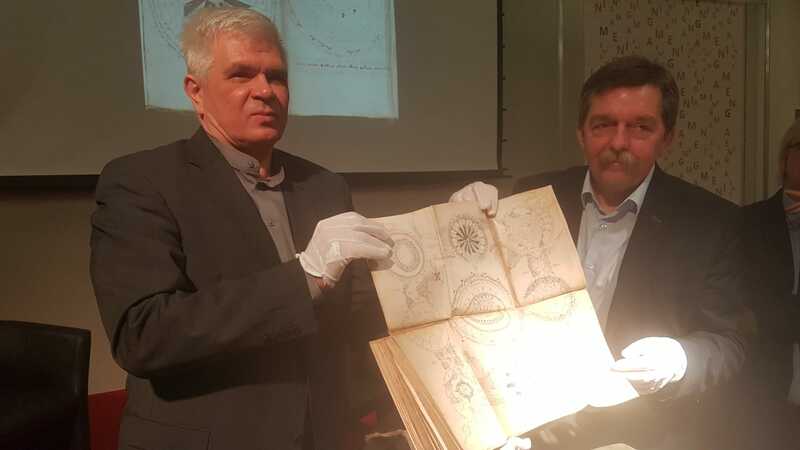 The new facsimile was presented by Marek himself and Rafał Prinke, a leading Voynich manuscript expert, whom I know from a number of conferences. Rafał is the co-editor of the book The Voynich Manuscript: The Complete Edition of the World’ Most Mysterious and Esoteric Codex, which I reviewed for the scientific magazine Cryptologia. The facsimile was carefully prepared by the Manuscriptum publishing house to be a genuine copy of the original. Its size equals that of the original. Every page has been individually trimmed strictly accordingly to the size of the original. Holes in the leaves of the original are reproduced in the facsimile. The publishing house announced that it will donate the first copy of the facsimile to the Rejewski, Różycki and Zygalski Cipher Center, a museum and memorial place that is going to open in Poznań next year. To my regret, I don’t know how much this facsimile costs. 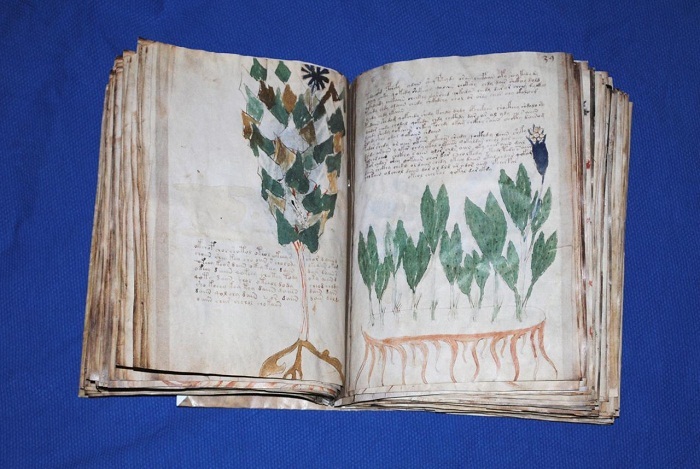 There’s one more thing about the Voynich manuscript I would like to mention. Two weeks ago, I took a very nice trip to Hamburg, where I did some sightseeing. On one of the evenings, I met Jan Henrik Holst, a great linguist, with whom I had been in email contact for a while. Jan Henrik, whom everybody calls Woody, not only speaks about 20 languages, but is also a successful scientist. He is best known for having researched the origin of Burushaski, a language spoken by about 90,000 speakers in Pakistan. Thanks to Woody for the interview and a very nice evening. This is a very nice replica. I also don’t know how much it costs, but somewhere I heard it is quite a bit less expensive than the $8,000 Spanish version, introduced a few years ago. I doubt I would be able to afford it! But I would certainly love to have one. A man after my own heart! Mr. Holst does not say when or by whom he believes this may have been done, but I of course agree with his assessment, only adding that the perpetrator, I believe, for many reasons, was Wilfrid Voynich himself. Holst = Holz = “Woody”? Right?